When I saw an advert asking for bloggers to review some cupcakes, I just had to!! The company in question is Eat Your Photo and I was super excited when I had a flick through their website to see they are part of Beach's Bakery in Somercotes, Derbyshire. Not far from where I live at all. 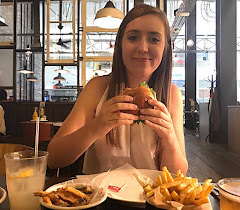 The idea is, that you get to order a variety of products such as cupcakes, chocolates, brownies, cookies and lots of other items with a picture of your choice on them. I was offered the cupcakes by post, which sounds a little scary to think that cakes are delivered in the mail, however the packaging is really sturdy and lots of care is taken at all times. As I drive past Beach's bakery on my way to work everyday, I offered to pick my cakes up to save on delivery costs etc. helping the environment and all that. Here's what I was greeted to upon opening the box. 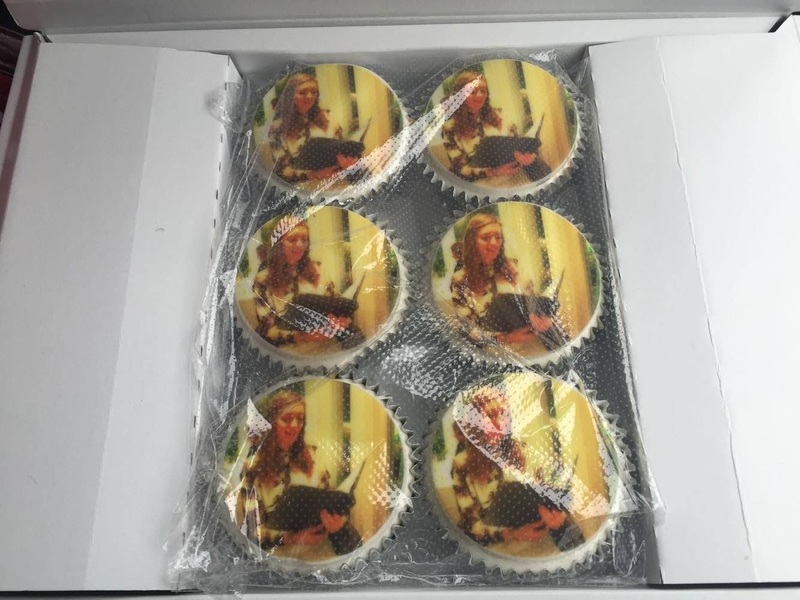 Six cupcakes with my face on! I just sent over a picture of myself as I've always wondered how good I would taste. Many people chose to have logos and things like that but I don't really have one. I was really impressed with how well the picture comes out. I chose a photo with low lighting so was unsure as to how this would go down. It does work but I think next time I'll chose a lighter image. When I ripped open the cellophane, the smell was amazing. So fresh and sweet! I was so excited to get stuck in. I had the vanilla flavour, keeping it nice and simple. There are a few other flavours such as chocolate to chose from too though. When I took the first bite... oh my! The sponge is so fluffy and light like you're eating air with a big thick layer of luxurious creamy vanilla frosting and a little chewiness from the photo topper. All of the textures and flavours go together so well. I was so impressed. I will even go as far to say that this was the tastiest cake I've had for a while now. 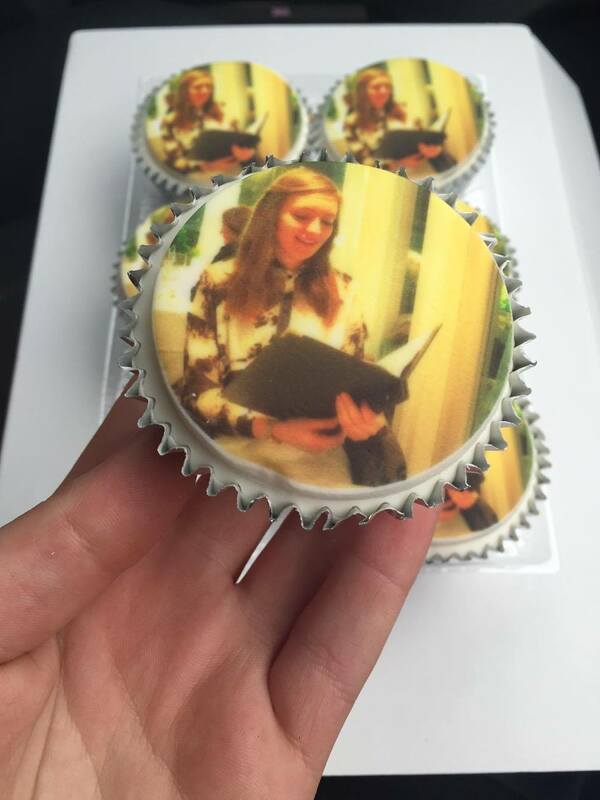 I've had cakes before that have had pictures printed on but always felt that the quality is compromised due to the fact that it has something a little different on top. Not here though! These will not last long in our house that's for sure. I think it would be really nice to order some of these as a gift to someone and have them delivered to their house as a surprise. I'm going to be bearing that in mind for the future. Be sure to head over to their site and check out all of the amazing personalised goodies to chose from!